Consolidate debt with up to 2500 installment loan. Bad credit OK, get the funds you need by next business day to payoff your small personal loans and have one easy monthly payment. You can spread your payments out up to 9 months. We can help you organize and get ahead of your debt by getting you funded for $2500 and allowing you to payoff existing problem loans. We work with people with poor or bad credit. You can get a cheaper loan at a bank but if you're like many of us then your credit is not as shiny as they would like. Our debt reduction installment loan is one way to clean up your monthly payments and get on top of your finances. You can electronically sign your documents and generally no faxing is required. We try to make it as easy as possible to get you the money you need. Complete the application and see if we can get you funded for a 6-9 month signature that may help you consolidate your debt. Given the confusing and often unintelligible financial jargon, it is difficult for an average individual to understand the use of various instruments and their significance in managing one’s finances. It therefore makes more sense to try and educate yourself on the various kinds of debt and credit options and the terminology related to them. Here we will help you understand the concepts of debt consolidation and refinancing for managing your debts in a better way, and the major distinguishing factors that separate one from the other. As the name suggests, Debt or loan consolidation is the process of condensing your multiple loan plans into a single debt to simplify your monthly payment responsibilities. A single debt liability not only reduces the number of monthly payments and bills that you need to keep track of, but also offers you the benefit of a lowered interest rate and a smaller installment to pay every month. Debt consolidation also features the provision of modifying your variable interest rate into fixed rate so that you pay a standard interest throughout the remaining tenure of loan. Apart from the advantage of making a single regular payment and a fixed amount of interest, debt consolidation also helps you get rid of the multiple fees and charges of the separate loans so that you pay only one annual fee for all the credit that you have taken out. Also, since you will now be focusing all your funds on a single loan repayment installment, you stand the chance of paying off the entire debt sooner than before. On the other hand, refinancing can be described as the application for a new loan at a competitive interest rate, to pay off your existing debts. You can negotiate a different set of terms and conditions including extending the tenure of your loan, reducing your monthly payment liabilities or lowering the rate of interest for achieving maximum benefits from the new loan. Reducing the rate of interest can not only potentially save you tens of thousands of dollars over the entire duration of the loan, but also help you pay out the more expensive existing debt within a shorter span. People typically go for one of the two fundamental options of refinancing with a loan that has a lower rate of interest, or one that has longer repayment tenure, both of which considerably reduce your monthly financial burden. However, many people end up avoiding refinancing given the fact that they are once again required to start from scratch and go through the entire qualification and approval process to avail the new loan. 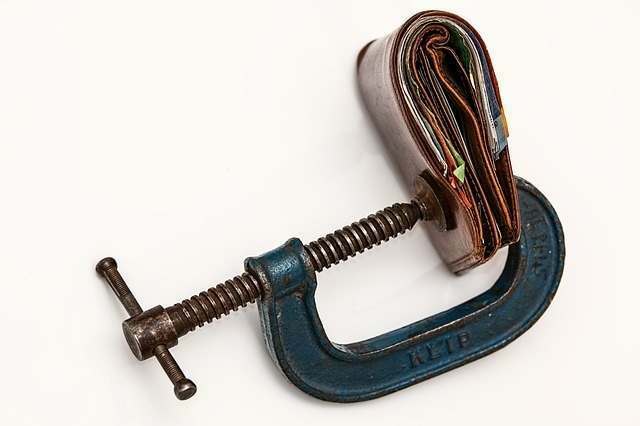 Whether you are teetering on the edge of bankruptcy or just wish to reorganize your finances in a better way, you can go for either of the two aforementioned options depending upon your current financial health and your requirement. WireLend is not a direct lender. Once you complete the application you may have the opportunity to accept or decline the loan offer. Please use short term credit responsibly.